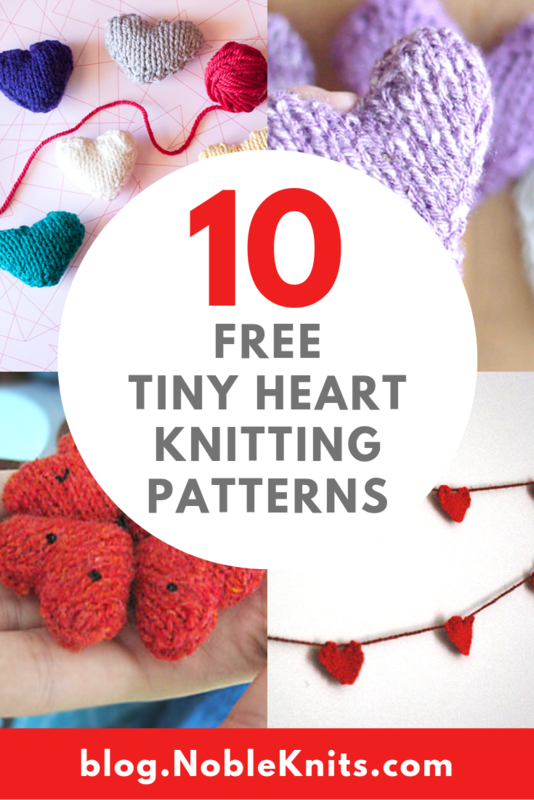 So many knitters let us know they loved our 14 Free Heart Knitting Patterns to Make for your Valentines post, we decided to make another heart post! This one is all about knitting tiny hearts! 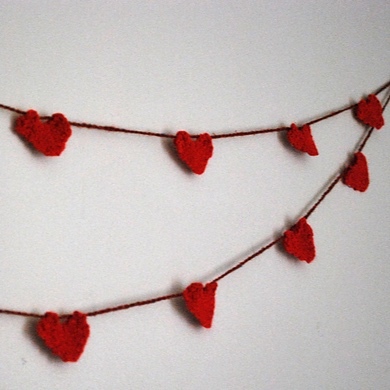 With Valentine’s Day right around the corner, you’ll be able to knit any/all of these tiny hearts in under an hour. Pin or bookmark this page so you can refer back to it anytime - these are perfect stash buster knitting projects. 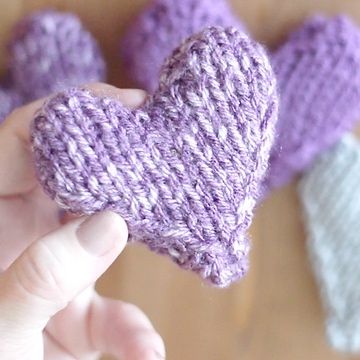 You’ll learn how to knit a tiny heart in 10 different ways! #1. Ewe Ewe Heart Heart Free Knitting Pattern is a simple puffy heart using Ewe Ewe Wooly Worsted weight yarn. Make and share your love or make a bunch to create a bunting or mobile. #2. 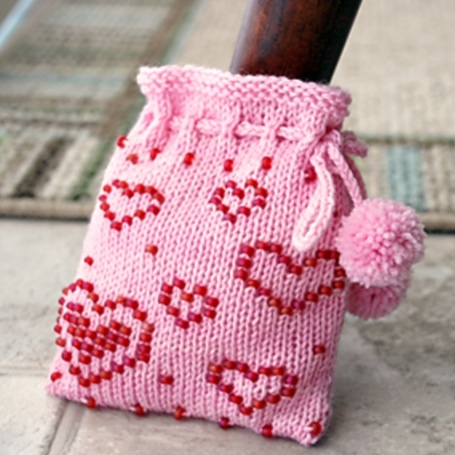 Heart Warming Cup Sleeve Free Knitting Pattern by Vikki Bird. Keep your sweetie cool and coffee hot with this coffee cup sleeve. It’s adorned with initials and a heart. #3. Hearts Free Knitting Pattern by Anna Hrachovec creates cute puffy hearts that fit in the palm of your hand. #4. Heart Shaped Softie Free Knitting Pattern by Kristen McDonnell. This heart softie is a bit bigger than the other hearts shown here. Knit it as a softie to cuddle, or add some lavender while stuffing to make it a softly scented sachet. #5. Sweetie Heart Free Knitting Pattern by Jackie Loewen shows you can create super tiny hearts in any color of the rainbow. 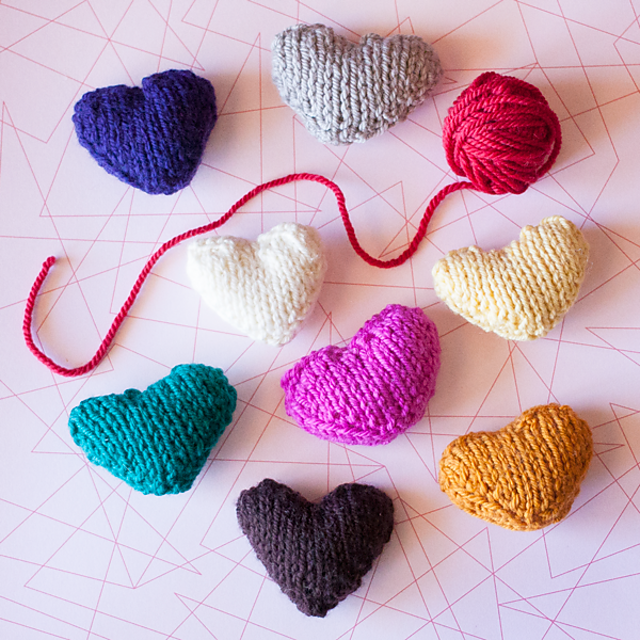 These quick knit hearts make great pins, gift toppers, or adornments on the front of a note card. #6. Heart Ornament Free Knitting Pattern by Heidi Gustad. Have you knitted any tiny hearts? Which are your favorites to make? Let me know in the comments below!